What a wonderfully, cold and frosty week it’s been down here in deepest darkest Berkshire. I know that some of you have had rain so I’m sorry to rub your nose in it but breathing in that crisp, fresh air has been so welcome after the thick depressing fog of last week. We’ve also had sunshine, making for the most stunning photographs. I’ve taken to stopping my car whenever/wherever I can to get a snap. All this beauty is free folks! We really should make the most of it. I’ll stop gushing about nature for a minute and continue with my #littleloves for this week. 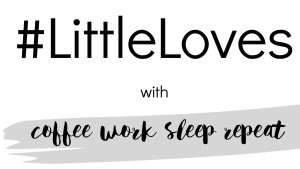 By the way, if you’re new here, Little Loves is a linky hosted by Morgana from Coffee, Work, Sleep, Repeat. It gives us all a chance to reflect on the simple pleasures of the week just past. I try to join in every Friday because the habit of writing it down has really improved by wellbeing and in particular, encouraged me to be more present in the moment. Always a good thing. I’ve made good progress with Small Great Things but probably not as much as I would have liked. The main reason for this is simple – I keep going to bed too late. Yes, I’ve been burning that candle at both ends again. The evenings just seem to go by so darn quickly! I’ve only got one week left before our #bookclub140 twitter chat though so need to get cracking. I’ve read a few more blogs than usual this week. 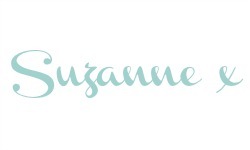 Whilst I don’t want to fall into the trap of substituting books for blogs, I’ve enjoyed it. I particularly liked this post over on Vie Choufleur which Halina posted on Blue Monday as a kind of antidote to the misery that was being shared around on the internet that day. This was such a welcome read on the one day this week when it did tip it down with rain for 24 hours solid! Another post I read and would recommend was over on the Tots 100 blog. It was really aimed at bloggers or writers – how to write a killer headline (or words to that effect). Best thing on TV this week (in my humble opinion)? Tina and Bobby. On Friday evening, ITV aired the first of a three-part drama based on the love story that was Bobby and Tina Moore. I actually didn’t know too much about their history of how they got together and what they went through as a couple. It was well cast and I particularly enjoyed Michelle Keegan as Tina – she’s come a long way since her Corrie days. I’m looking forward to watching episode 2 tonight. If you didn’t watch the first one, you can catch up on the ITV Hub. Waves lapping on the shore? A somewhat loose connection here but this was the sound playing in the background while I enjoyed my monthly massage at The Massage Company yesterday. I treated myself to this luxury every month after being invited for a free trial massage back in November. 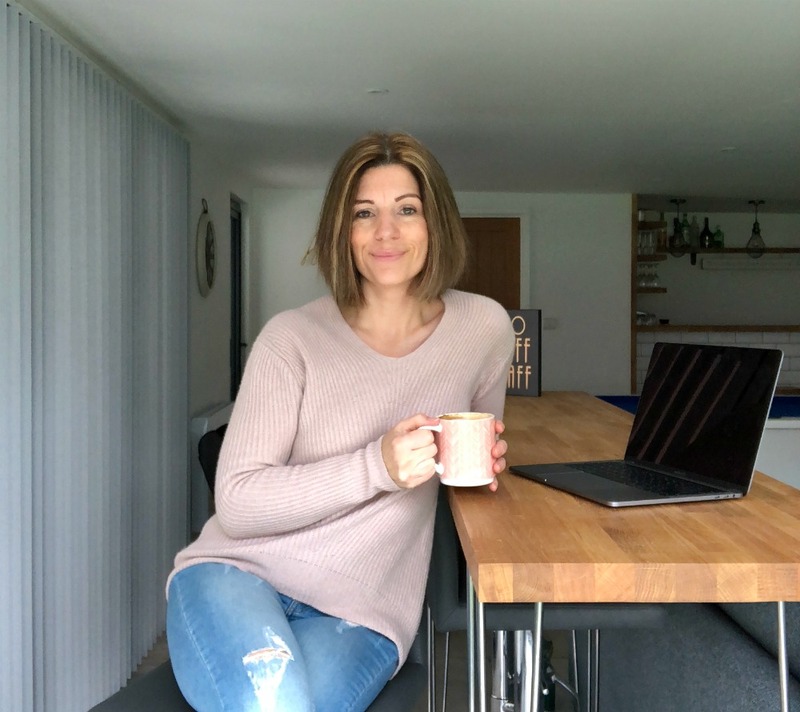 I think that the concept they have thought up is brilliant and as I suffer from a niggly back pretty much every day, I’m treating it a bit like having my teeth seen to at the dentist (albeit a bit more often and a whole lot more enjoyable!). 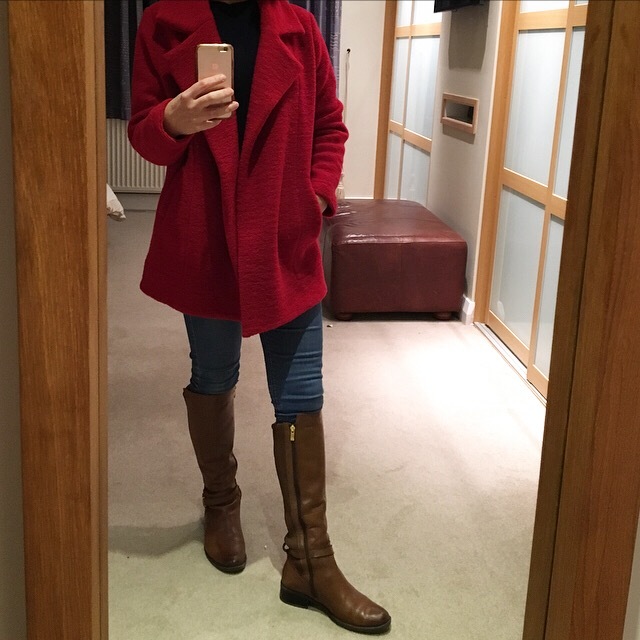 I went a bit mad last week and splashed out on something I wouldn’t normally be brave enough to buy – a red coat (I chopped my head off here because quite frankly, I looked miserable!). I bought it from ASOS on a total whim, so hadn’t even tried it on. Luckily I loved it immediately so although I published the whole ‘to keep or not to keep?‘ teaser on Instagram stories, it was all for show. I knew immediately that it was a keeper. You just do, don’t you? I’ve subsequently lived in it all week – indoors and out! It doesn’t have any lining but has a reasonably high wool content, so on these cold days it’s kind of doubled up as a house coat/cardigan – so cosy! I’ve been testing out new soups again. 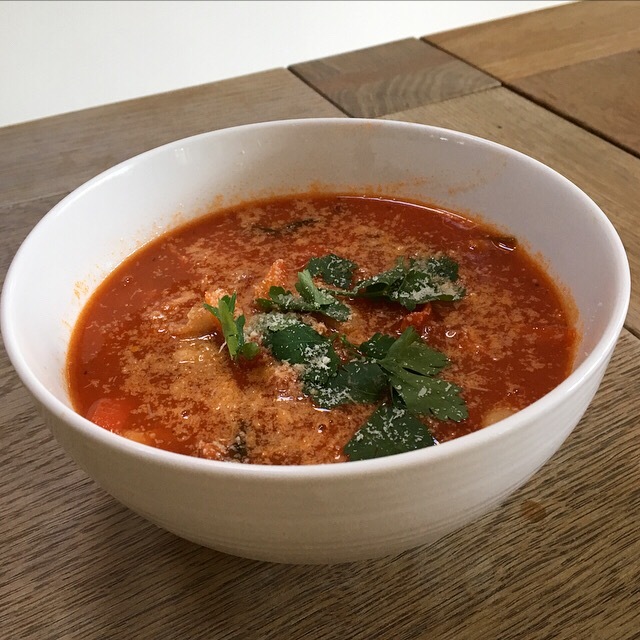 This week’s delicacy was Chorizo and Spicy Tomato Soup with Cannellini Beans. You might remember from last week that I went with a group of friends to The Bombay Sapphire Gin Distillery on Sunday. We had a fabulous time! The Gin Cocktail Masterclass was worth every additional penny. If you want to know more, I’ve written a little blog post all about our experience. I would thoroughly recommend it as a birthday celebration or any excuse you can think of really! And that just about wraps it up for another week. I hope you all have a fabulous weekend. See you all on the other side. We’ve got frost this morning, but we’ve had rain all week 🙁 I wanted to watch Tina and Bobby. I didn’t realise it had already been on! I don’t even get near enough to the TV to know what’s actually on! Your red coat looks fab! 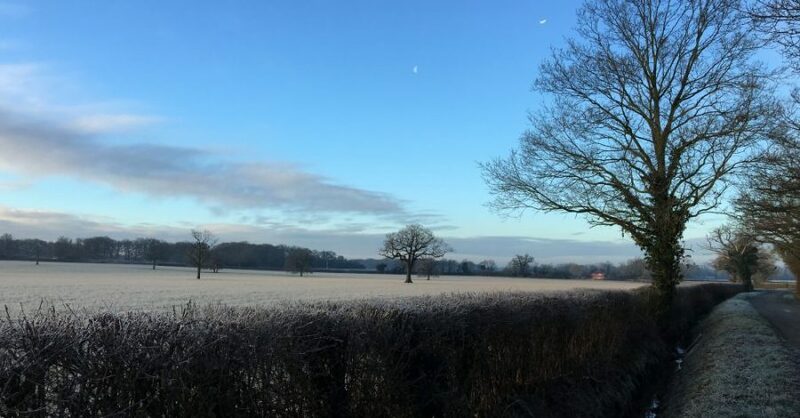 What a beautiful winter scene in the first picture you’ve shared – I do love a frosty morning. The new coat looks great and the soup looks delicious! Have a great weekend! Wow look at that bar. It’s packed full of fun waiting to be had. Love the boots and winter coat darling. I am with you on the sunshine and jumping out of the car if I can to snap it up. I need to do ALOT more of that come the weekend we have been hibernating far too long. Oh massage sounds lovely hun. What a treat. I will have to check out for Tina and Bobby never heard of it sounds great. Popping over from #littleloves Happy Weekend. Oh I’ve recorded Tina and Bobby but I’m looking forward to watching it. I love your red coat it looks fab. I love fresh frosty days unfortunately all we have up north is rain! Love the colour of your new coat Suzanne, it’s gorgeous! You’re right, definitely a keeper. I love the coat, great colour on you. The gin night looks so much fun, may have to see if theres something similar round here, my husband would love it. Oh I love that coat! Great that you’re managing to fit in a monthly massage, I’m wishing I could manage to do that at the moment after a fabulous one on Sunday.